1970 914-6... the car from my high school years.. has not been on the road since 1986. Stored inside all this time. all original parts as far as I know. have all the parts not seen in pics (carbs, carpets...) . Best offer over $20K takes it...I kept it all these years thinking one day I would be able to give it the restoration it deserved...not possible now! Located in Western NY (near Rochester). More pics? Any rust? Please identify engine/transmission issues, if any. you can see grass thru the hole in the long beneath the hell hole. I think it’s a steal at $20K. It looks pretty rusty but with a 20k price there's a lot of room for repairs as long as all the original parts are there. Don't open the doors though before you get that thing on frame fixture.. It looks super rusty. A $20K vin plate. Sorry the project got away from you. Good luck with the sale. 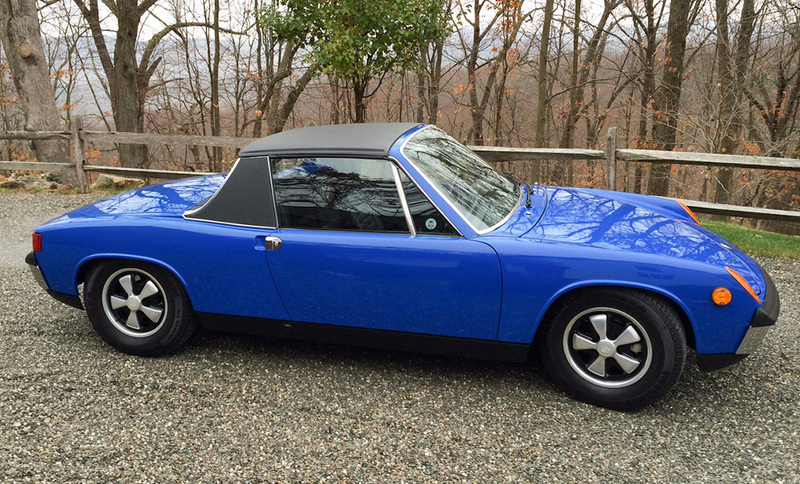 That's easy to think if you don't know the value of 914-6 parts. Just the metal sub dash is a $500-1000 piece. the core steering wheel is $600, the six specific rear shift rod $400, core trans, $1500, ect, ect. $20K in parta on that car besides the chassis. Might be a killer deal ! Actuall, car is pretty solid...doors open and close well, no flex when I stand on the doorsill and bounce. 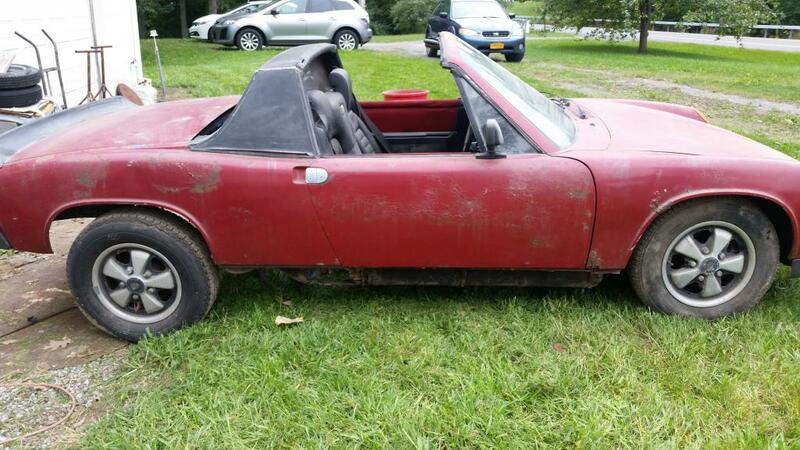 I had a few 914's in my youth , a few "parts" cars... this is by far in better shape then it seems. I personally think this a decent buy.. I would be in on this project if I were not so deep on my current build. 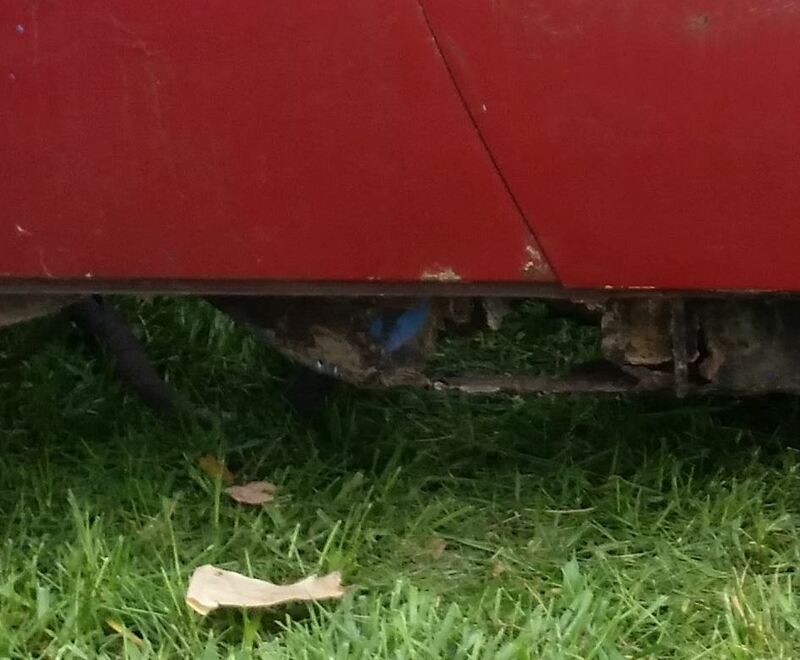 the additional pics also help shed some light on the overall condition of the project that one is starting with. Seen worse tuned into Gold ! 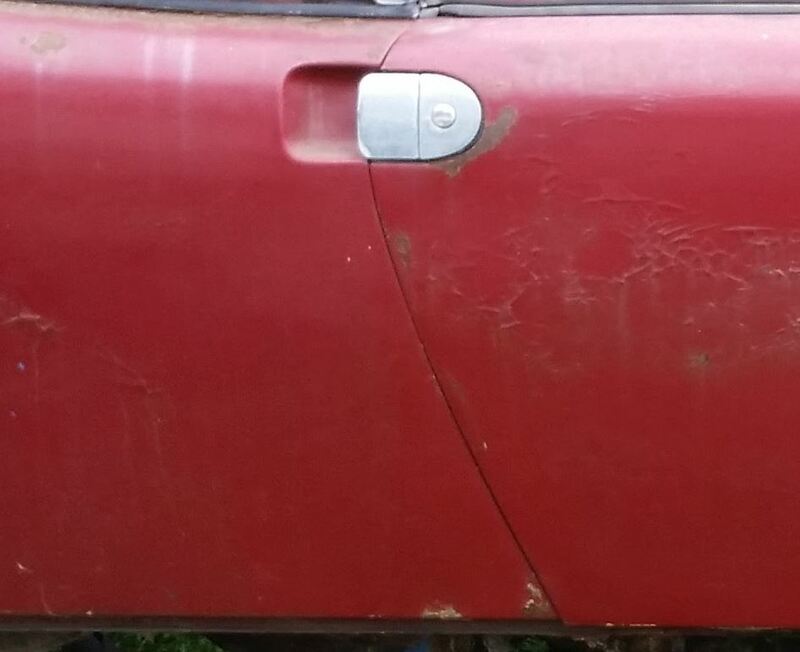 I don't want to refute any thoughts or comments here but the door gap and the hole in the long would concern me.